At some point, most users have come across a situation where the capacity of a drive or disc isn't as large as advertised. Many times, this is a rude awakening for the consumer. 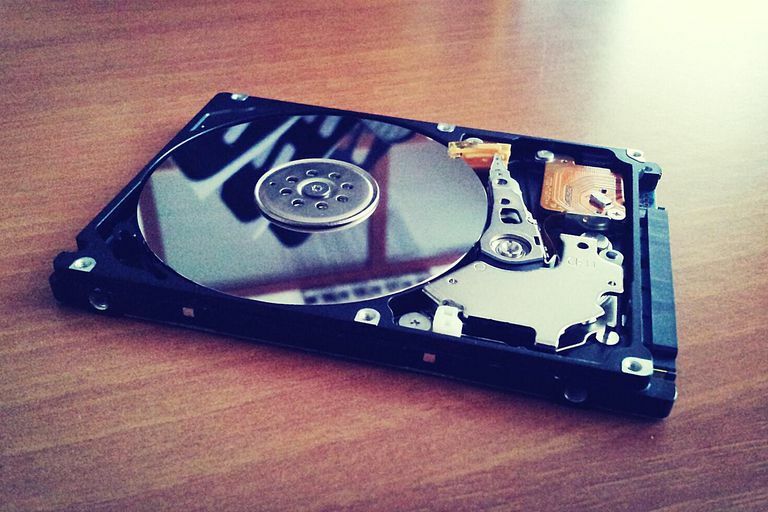 This article examines how manufacturers rate the capacity of storage devices such as hard drives, solid state drives, DVDs and Blu-ray discs compared to their actual size. This is important information because when a computer operating system or program reports the available space on a drive, it is going to report the overall total of available bytes or reference them by one of the prefixes. So, an OS that reports a total space of 70.4 GB actually has around 75,591,424,409 bytes of storage space. Since consumers don't think in base 2 mathematics, manufacturers decided to rate most drive capacities based on the standard base 10 numbers we are all familiar with. Therefore, one gigabyte equals one billion bytes, while one terabyte equals one trillion bytes. This approximation was not much of a problem back when we used the kilobyte, but each level of increase in the prefix also increases the total discrepancy of the actual space compared to the advertised space. Based on this, for each gigabyte that a drive manufacturer claims, it is over-reporting the amount of disk space by 73,741,824 bytes or roughly 70.3 MB of disk space. So, if a manufacturer advertises an 80 GB (80 billion bytes) hard drive, the actual disk space is around 74.5 GB of space, roughly 7 percent less than what is advertised. This isn't true for all the drives and storage media on the market. This is where consumers have to be careful. Most hard drives are reported based on the advertised values where a gigabyte is one billion bytes. On the other hand, most flash media storage is based on the actual memory amounts. So a 512 MB memory card has exactly 512 MB of data capacity. The industry has been changing on this as well. For instance, an SSD may be listed as a 256 GB model but have just 240 GB of space. SSD makers set aside extra room for dead cells and for binary vs. decimal difference. In order for any type of storage device to be functional, there must be some method for the computer to know which bits stored on it relate to the specific files. This is where the formatting of a drive comes in. The types of drive formats can vary depending on the computer but some of the more common ones are FAT16, FAT32 and NTFS. In each of these formatting schemes, a portion of the storage space is allocated so that the data on the drive can be cataloged enabling the computer or another device to properly read and write the data to the drive. This means that when a drive is formatted, the functional storage space of the drive is less than its unformatted capacity. The amount by which space is reduced varies depending upon the type of formatting used for the drive and also the amount and size of the various files on the system. Since it does vary, it is impossible for the manufacturers to quote the formatted size. This problem is more frequently encountered with flash media storage than larger capacity hard drives. It is important when you purchase a computer, hard drive or even flash memory to know how to read the specifications properly. Typically manufacturers have a footnote in the device specifications to show how it is rated. This can help the consumer make a more informed decision.